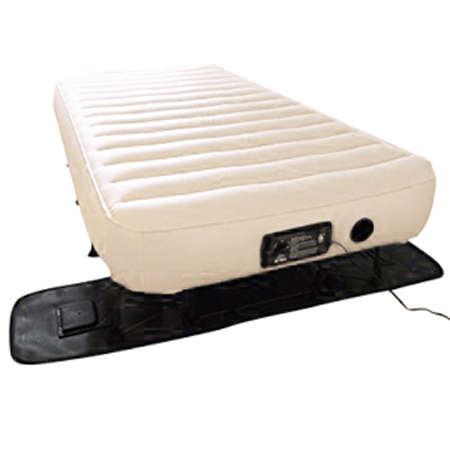 EZ air mattresses are one of the most popular categories on 3beds.com and the trend has been evident over the last few years. From what we heard from the people that asked us questions and shared reviews of the EZ airbeds, the main reason is the fact that an EZ bed is the closest you can come to the experience of a real high-end bed while still using an air mattress. No fireworks like the last time, I’m afraid. The positioning remains unchanged with Insta EZ bed leading the way, followed closely by Serta EZ bed and the EZ model from SimplySleeper. These beds cost more but are still within “normal” prices, the next level are the luxury air mattresses and adjustable beds. 2 So, what DID change with our EZ air mattresses?? Let’s check their characteristics in our “clash of the titans” part of the guide. So, what DID change with our EZ air mattresses?? First of all, we did a lot of new and interesting tests, both in-house and outsourced, with a ton of new user experiences to back the whole story up. You’ll be able to read all about our test results in a follow-up article due to be published soon, but we’ll hint at some more important ones here as well. We’ve contacted hundreds of recent buyers for an elaborate opinion on the products, so you’ll be able to hear some new experiences hot off the press. I think the sheer bulk of new info makes a pretty compelling case for staying with us ‘till the end of the article, so let’s waste no time and start dishing out the goods. As you probably already know, if you read any of the other articles on 3Beds, our ultimate guides are dedicated primarily to user feedback and our general conclusions regarding certain products. Now that we got the basics down, we can get some actual work done. Time to (re)introduce our winners for this update. Our winner from the last update as well, Insta is a well-know player when it comes to the market of inflatable mattresses. They’re known for their lavish product specifications, so we can expect to get A LOT of info just in our first step of the three (3 steps – 3 reviews – 3 beds, it all comes in threes with us). We’re already used to seeing very informative and lengthy introductions from Insta. It makes our job all that much more interesting since there’s much more things to confirm or deny through our testing circuit and user contact. Both of the pumps work without a hitch! The primary one works even faster than stated… Well, if we’re honest, I never even heard the NeverFLAT pump going off. All I know is that I never felt any change in the firmness of the mattress overnight. I don’t know if it doesn’t lose air at all, or the secondary pump is just that quiet, and honestly, I don’t care. The important thing is that it doesn’t lose any air, EVER! With an overall rating of 85/100, it’s no wonder this model took the cake 4 months in the row. There was a slight change in the comfort rating (now it’s 85/100), caused by increased sales over the last two months, followed by an overwhelming number of positive reviews. We can best perceive Insta EZ bed if we compare it to their raised model. We’ve often heard the numbers being thrown around, and yes, raised version is some 100 dollars cheaper, but for good reason. It’s an excellent product, don’t get me wrong, and we’ve written about it already, but EZ bed is a whole new level. Generally, you’ll buy EZ if you’re looking to getting as close as possible to that “regular bed” feel. Even with the increased height, people often times feel like they’re camping in their bedrooms, and having a proper bed frame nullifies that experience. The frame also accounts for better overall support and the stability of the bed. So, if you want a proper picture, go on and take a look at the reviews of the raised Insta air mattress, and you’ll be able to draw your own conclusions. The usual things like comfort, durability and such are pretty much on the same level, but having a sturdy and elevated bed frame really enriches the sleeping experience, whether you’re camping out or staying at home. Serta model always had a lot of striking similarities with Insta but has always lagged behind for some reason. Still, it’s the second best ezy bed and has been for some time now. Let’s see what it’s made of. Serta and Insta EZ inflatable beds are essentially the same product, but Insta sells way better for some reason. Our opinion is that the devil is in the details, the frame of the Insta is just a tad sturdier, the PVC feels more durable and the weight distribution is better. Just some food for thought while we’re reviewing EZ air mattresses. Everything we said about the Insta EZ bed Queen is valid here as well. You can go for it without looking back. This model too, has our official seal of approval. Our newcomer from the last update is definitely feeling more domestic this time around. Let’s peruse some new data we collected over these two months. We bought this inflatable bed as a last resort for my husband’s back problems. It hasn’t gotten any easier for him over the years, and we decided to give it a shot. He says he can’t believe the changes he’s been experiencing. I can also see it in his mood throughout the day. The pain isn’t gone completely, but the mattress got it to a more manageable spot. Thank you SimplySleeper for “giving” me my husband back! This mattress first appeared on our site four months ago, and we haven’t had the chance to deal with it before that. It’s a model that lives in the shade of its “older brothers” in SimplySleeper catalogue, so people don’t know much about it. The knowledge base online is also quite limited, which explains the low number of online reviews. That’s why we decided to step in and fill in the void that’s been there ever since this mattress hit the market in 2013. We tested it thoroughly, and came up with some very interesting results. We expected nothing but excellent performance due to the renowned brand of the manufacturer, and that’s pretty much what we got. We did a slew of our regular tests, followed by some frame-endurance tests as well. We can say we were pleasantly surprised during both the pressure and tensile tests, and we have to admit we destroyed one of the just so we could measure the thickness of the material. Turns out, it’s on par with the leading names in the industry, so it will be saving you a lot of puncture-related headaches. The customers have already spoken about its excellent comfort, durability and the width of customization possibilities. We decided to have some fun with it along the way, so we put 400 lbs of weight on it just for fun, and we haven’t noticed any structural failures. All in all, it’s a solid sleeping product left aside for way too long, not to mention unjustly. You can test it out if you have a mattress shop nearby, or you can simply order it from Amazon. We guarantee it’ll perform perfectly. Well, no seismic shifts this time around, but we had enough of those in our previous update. Things have settled a bit in the meanwhile, so we can predict these are our three main competitors and “EZ beds to beat” in the foreseeable future. Have fun reading all about them, and hope over to their dedicated reviews for some extra info. Choose wisely, and see ya in time for the next update. How does technology affect sleep? What are Hypnic jerks and how can you deal with it?